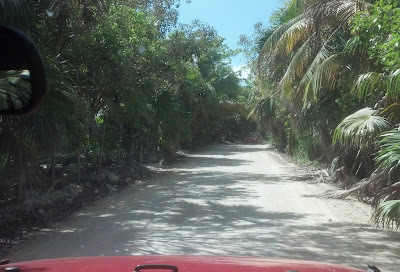 Our next big adventure was to drive to the end of the road, to Punta Allen. My chariot awaits. 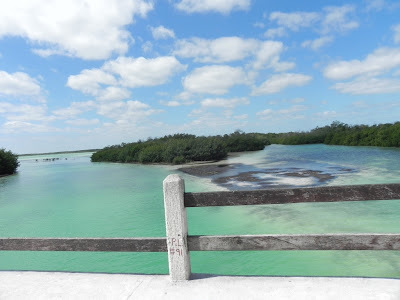 I was really glad we made the drive, but it was long and bumpy. And jarring. And shrouded in jungle. For like 35 miles. 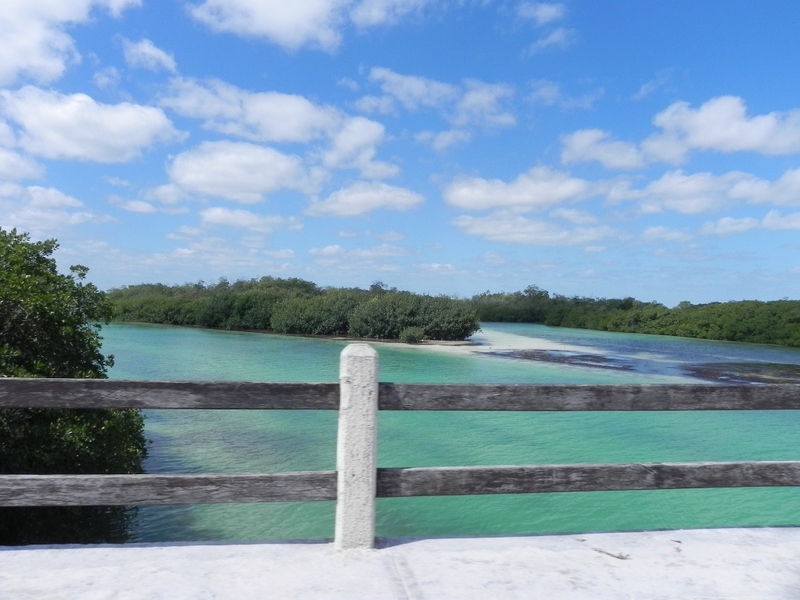 The road is along the edge of the Sian Ka'an Biosphere, so when we could see past the jungle, it was quite lovely. With lots of birds and lovely waters. 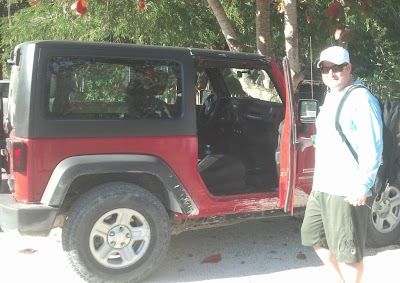 But this was like 3 percent of the trip. The rest was dirt roads and palm fronds.